The purpose of the Women’s Ministries is to lift up Jesus Christ and to encourage women to grow in their relationship with God and understanding of His love through the value He gives them. As we are impacted by this deeper relationship with Christ, we will share Him with our family, friends, church, and community. We offer two annual women’s retreat–one held at a hotel with guest speaker and a more intimate, casual event held at Laurel Lake Camp with a local speaker. Both are designed to give women the opportunity to get away, recharge, build friendships, and grow deeper in their relationship with Christ. 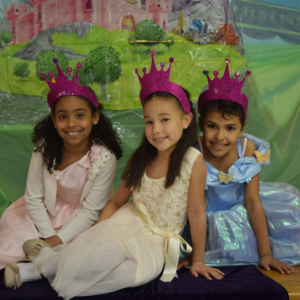 Princess Teas, created for little girls under 12, are a great church and community outreach. designed to help little girls grow up with the foundational truth that they are God’s princesses, planned uniquely and loved deeply. Attend a Conference event or plan your own. Princess Tea Ministry Resource. Today’s teens face a myriad of challenges. Our Teen Conferences are designed to explore real-life topics with practical and biblical answers. 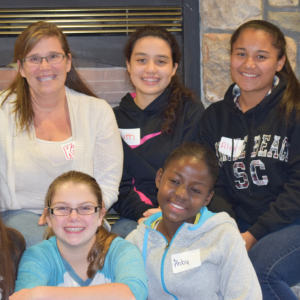 Attend our annual conference or a teen track offered during one of our women’s retreats. Check out the gorgeous2god blog and Facebook page. Also check out the Youth Alive Portal for resources, training and much more! 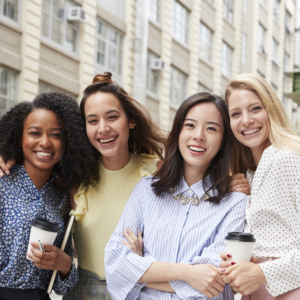 We are intentionally seeking ways to connect with young adult women in relevant ways that build friendships, community and deeper relationships with God. Watch for upcoming events offering practical-real life topics, a meal, and conversations. Contact Tamyra Horst to be a part of this ministry. Note there will not be a spring women’s retreat this year. But we’re looking forward to seeing you this fall as we celebrate 30 years since that first retreat at Laurelville. Enjoy painting? Want to learn how? We’re inviting young adult women to join us for a fun and creative day as Tricia Surubaru walks us through creating works of art. Cost includes all supplies plus a simple late morning tea. Space is limited, so register right away! All of God’s princesses, 12 years old and younger, are invited to bring their moms, grandmoms, or adult friend and join us for an afternoon tea with fun activites and stories that will remind us that we are truly God’s princesses. 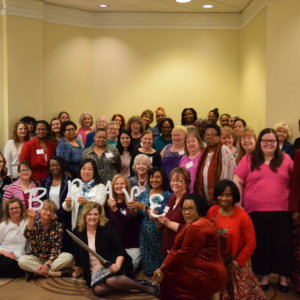 30 Years of Women’s Ministries! Plan now to join us for this special retreat weekend as Janet Page, General Conference Ministerial Associate for Prayer and Ministry Families, shares God’s Word as we celebrate 30 years of Women’s Ministries in Pennsylvania Conference. Janet was our first women’s ministries director, beginning this life-impacting ministry here. Erica Jones, North American Division Women’s Ministries Assistant Director, will be speaking to teens during a teen track. Erica is the force behind gorgeous2god, a ministry that connects with teens and young adults through a blog, Facebook, Instagram, and now a YouTube channel. Watch for more details about this exciting weekend! Women’s Ministries Director Tamyra Horst has been serving God and His daughters in women’s ministries for more than 25 years. Her desire is to “encourage, equip and challenge women to grow deeply and serve uniquely.” She is passionate about helping women of all ages–young, old and in-between–learn to truly believe that God loves them and live like it. An author of more than nine books and many women’s ministries resources, Tamyra is a speaker and leader with a passion for God’s Word and sharing Him with others. She serves not only as the Pennsylvania Conference Women’s Ministries Director, but also as the Columbia Union Women’s Ministries Director. She is also the author of “Strengthening Your Church Through Women’s Ministries,” a practical guide filled with ideas for creative and impacting ministries local church women’s ministries groups can do that will help connect women in their churches and communities with each other and with a God who is crazy about them. Click on the book title to learn more. Here are seven tips for planning a strong women’s ministries program for your church.